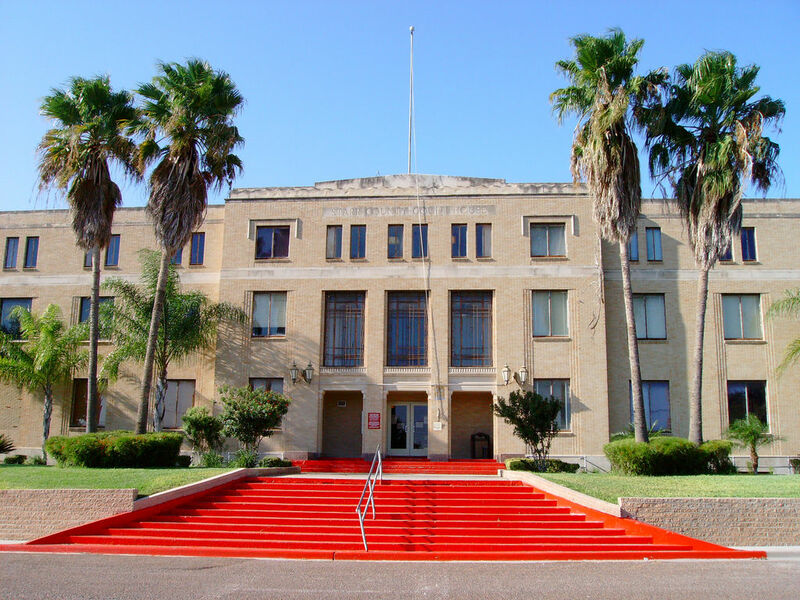 RIO GRANDE CITY — Upon walking into the Starr County courthouse, visitors might have noticed one glaring change the last few days: a vacant security desk. The walk through metal detector sits quietly with no one ushering people to walk through it as courthouse security personnel were cut as part as the financial “belt-tightening” the county is undergoing. To restore security, commissioners approved the creation of a county wide courthouse security department, a budget for that department, and approved to appoint and hire courthouse security personnel from the security fund. The existence of this fund was news to Commissioner Jaime Alvarez who said he learned of it after doing research to find a way to fund security at the courthouse which was previously funded by the sheriff’s office. However, Alvarez pointed out that there was a line item in the county judge’s budget that was specifically meant to pay for courthouse security but because the sheriff’s office was paying for security, that line item was not being used. County Judge Eloy Vera, though, stated that the line item in his budget was used to pay for cameras, monitoring, and possibly other security materials. He also said that when he learned the sheriff’s office overspent, he realized some of those funds should have gone to the sheriff so for last year’s budget he transferred funds to their office to make up for what they were paying for courthouse security. This year, sheriff’s office also had budget cuts and, as a result, the two deputies at the courthouse were cut. Starr County Sheriff Rene “Orta” Fuentes could not be reached for comment. Upon the discovery of the budget security fund, Alvarez said he went to District Attorney Omar Escobar and together they concluded that the county had to create a courthouse security department, a budget for that department, and then begin hiring for those positions. During a county commissioners meeting, Starr County Judge Eloy Vera abstained from voting on the creation of the department and questioned whether the authority of appointing courthouse security personnel fell under the commissioners court. Escobar, the district attorney, said he was confident the commissioners had the authority to hire the personnel but Vera nonetheless requested that Escobar to seek an opinion from the attorney general’s office. In the meantime, the department will be under the supervision of Fermin Orta, the county constable for precinct 8, who will also be responsible for hiring. Unfortunately, Alvarez said, they would not be in place at the courthouse until they are approved by the commissioners on Oct. 23. It was frustrating, Alvarez said, because there is concern over the security of the courts, the county courts of law, the justice of the peace and the other offices housed there.